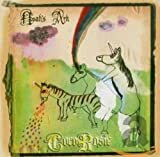 CocoRosie Albums, Songs, Lyrics And More at SongMeanings! 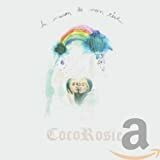 The luminously lovely indie folk-tronic duo CocoRosie consists of the Casady sisters, vocalist/guitarist/harpist Sierra and vocalist/percussionist Bianca. Both sisters had an early love of music that they pursued as they grew up, albeit in different ways: Sierra began operatic vocal training while she was in high school, while Bianca sang and wrote songs but kept them to herself. That is, until she reconnected with Sierra, who joined Bianca at her Paris apartment, and they started playing and recording songs together. 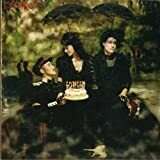 The fruits of their labor, La Maison de Mon Reve, was released in spring 2004 by Touch & Go and was predated by a string of dates in New York with Devendra Banhart, the Gena Rowlands Band, Battles, and Ratatat. Their second album, Noah's Ark, which featured cameos by Devendra Banhart and Antony of Antony & the Johnsons, arrived in fall 2005. 2007's The Adventures of Ghosthorse and Stillborn was a more polished but still eclectic effort. The following year they released the single God Has a Voice, She Speaks Through Me, which also appeared on 2010's Grey Oceans. Inspired by the sisters' travels through Europe, Australia, and South America, the album was released by Sub Pop. In 2012, CocoRosie choreographed a dance production, Nightshift, and an opera, Soul Life, for the Donau Festival in Krems, and performed at the Meltdown Festival curated by their longtime friend Antony. For 2013's Tales of a Grass Widow, one of the duo's most focused set of songs, the Casadys worked with producer Valgeir Sigurðsson and collaborators including Antony.